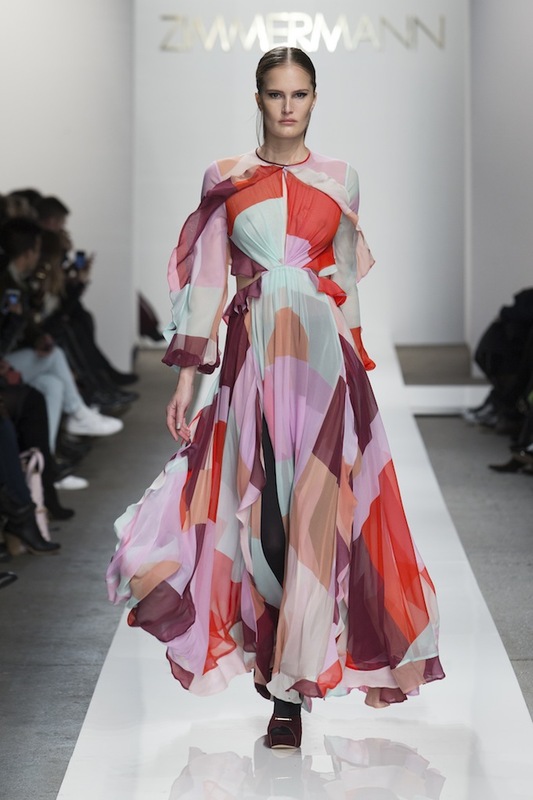 Australian designer royalty Zimmermann's Fall 2015 collection debuted at New York Fashion Week over the weekend overflowing with modern 70s silhouettes and a bold winter colour palette which took inspiration from various 60s interiors. Whilst still showcasing some of her coveted free-flowing trademark pieces, Nicky Zimmermann's latest collection is more structured and streamlined than usual taking a sideways step from her usual design aesthetic. A nostalgic starting point for this new collection were memories of her parent's very glamourous dinner parties where setting was key and an exciting a sense of occasion hung in the air. 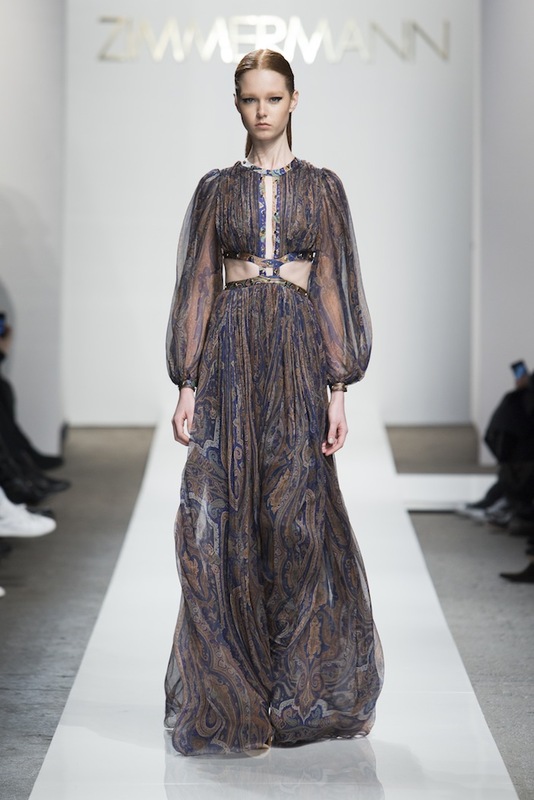 Strong lace, fierce cut-outs, sleek trousers and powerful coats were highlighted by aqua, pink, navy and mulberry tones accentuating the modern retro feel that had guests transfixed on yet another stellar Zimmermann season.